When I was younger, I always used to wonder what had led people to build a chapel a few feet away from another church or chapel. Was it simply the religious equivalent of the grocer where one used to be found in every block, conveniently ensuring that people didn’t have to walk more than a few steps to buy their milk (and get their dose of daily gossip)? It was only when I grew a bit that it started dawning to me that perhaps one building had preceded the other with religious devotion saving the older (and usually smaller) building from being torn down. 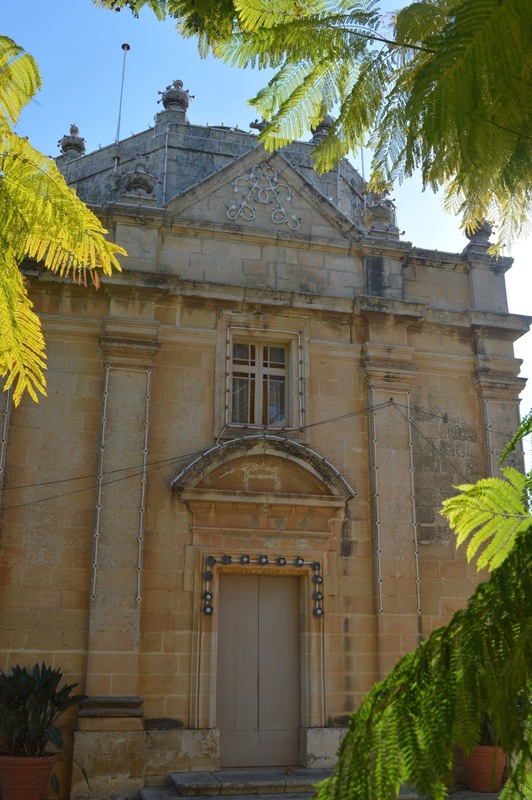 That is the case with the chapel dedicated to the Virgin Mary which stands, literally, a dozen steps away from the Safi parish church. There is no record of when it was built but there is no doubt that it is the first church in this locality that is left standing. Even so, today you’re left in no doubt of its secondary importance, hidden as it is by another building that separates it from the village square. The fortunes of this chapel have ebbed and flowed over the centuries, having been left abandoned on a couple of occasions so much that it had to be rebuilt at least once. Yet there have been times when it has been of huge importance to the people of the area. When you start looking into history, even if as superficially as I am, then you also begin getting glimpses into the way people used to live. We have become so used to the village feast being a period of excess that it doesn’t even register that there was a time when a feast was really that; an occasion where the poor – which meant the vast majority of the people who lived on the island – could have little bit more to eat. That’s what this chapel provided for some time, when the special celebration held there used to include a meal for the needy of the village. Whether this was out of the kindness of the landowners who paid for it, or because it was stipulated in some contract that they had entered into (or a bit of both) is hard to tell but I wouldn’t think that mattered much to those who benefitted from it. Indeed, over the centuries the fortunes of the chapel were tied to the willingness of landowners - those who owned fields in the area – to pay for its maintenance. It isn’t too big an assumption to make, then, to presume that the fortunes of those who worked those fields mirrored those of the chapel; that it served as a social barometer gauging the well-being of the locals. Directions to the St Mary Chapel in Hal Safi can be found here.